Last Sunday we heard Jesus issue the Great Commission: “Go into the world and make disciples, baptizing them in the name of the Father, the Son, and the Holy Spirit.” This morning we hear another commission, but it’s more localized. We find ourselves on the far side of the resurrection, and as Jesus travels through Galilee, teaching in the synagogues and proclaiming the good news of God’s realm, he realizes the people of Israel are “like sheep without a shepherd.” Because he has compassion for them, he tells the disciples that while “the harvest is plentiful,” the “laborers are few.” The metaphors are agricultural—shepherding and harvesting—but the point is simple. There is work to be done, which means more laborers, more shepherds, more harvesters, are needed. Jesus responds to this situation, by asking the disciples to pray that “the Lord of the harvest” would “send out laborers into this harvest.” As the reading continues, we discover that the answer to the prayer is this group of disciples, whom Jesus has gathered around him. Jesus is about to send them out into the world, to the lost sheep of Israel, to begin the harvest, because it is plentiful. We may live in a different time and place, but the harvest is still plentiful, and there is still need for laborers. The question is, how do we fit into this need? How will we respond to this request for prayers to the Lord of the Harvest? 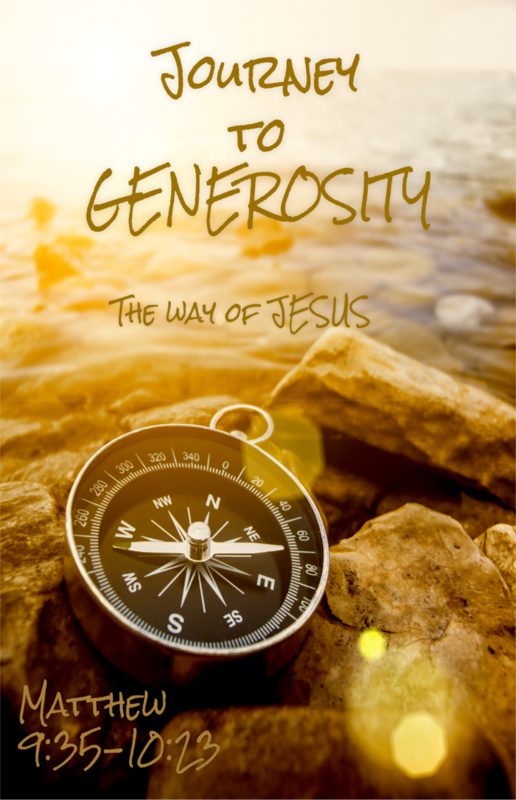 You may have noticed that the bulletin cover contains a picture and caption that speak of a “Journey to Generosity.” This is our stewardship theme for the year, and there is a relationship between the prayer for laborers and our acts of stewardship. Over the next several months, from time to time, we’ll talk more about stewardship and how it relates to the mission of God. It is good to remember that in the beginning God created humanity to serve as stewards of God’s creation, and as we participate in God’s mission, we continue to fulfill that calling. It is good to remember that stewardship is rooted in the mission of God. The question is, what is that mission? In a few weeks the General Assembly of the Christian Church (Disciples of Christ) will meet in Indianapolis. Several thousand people will gather from across the globe, including about a dozen of our own members, for that event. One of the conversation pieces at the General Assembly will be reports about the Disciples’ “Mission First” effort, which Sharon Watkins introduced at the last General Assembly. The question is: If mission is first, what is this mission? As we seek to answer that question, others emerge, like, how do we go about this mission? What does it involve? How do we support it? If there is a harvest ready to be reaped, as Jesus suggests, then what resources will be needed? Our friend Ron Allen offers this answer to that last question: “stewardship involves embracing the Realm and using time, talent, money, and other resources to point towards the Realm and to embody the Realm.” In other words, what is needed are laborers, who bring their time, talent, and money into the community so that together we can participate in embodying God’s realm. When we think about stewardship and mission, it is important to remember that we start with God’s abundance. Too often our conversations about mission and ministry start with an ideology of scarcity. We start from the premise that we don’t have enough to go around, and so we hoard. But Jesus offers us a different way of looking at things. He tells the disciples that the harvest is plentiful. There is enough to go around, but laborers are needed to bring in the harvest, so that it can be distributed fairly and justly and graciously. I will admit that when it comes to understanding the harvesting process, I’m dependent on others with more experience with such things. I grew up in small towns and cities that had a strong agricultural feel, but my parents and I were born in the city. My father was an advertising salesman, not a farmer. While I’ve never experienced farm life, some of you, however, may have either grown up on the farm or had parents who were farmers or ranchers. You may remember going out into the fields and helping to bring in the harvest. Cheryl’s father raised Thompson Seedless grapes in California’s Central Valley. Most of these grapes were turned into raisins. She can give you a better account of this, but this is what I’ve learned. When the time for the harvest comes, the laborers pick the grapes off the vines and then lay them out on brown paper, so that the drying process can begin. Later, they’ll come back and pick up the grapes and load them onto trucks to transport them to the processing plants. After the grapes become raisins and get boxed, they’re sent out to the stores, where you and I purchase them. What I’ve learned from Cheryl and my father-in-law, is that grape harvests are labor intensive. So, if the harvest is abundant, and the laborers are few, then the grapes will stay on the vines to rot. That’s not a good thing! So, what is the mission of God, and how do we participate in it? The reading from Matthew ends in verse 8 of chapter 10, though the story itself continues on through chapter 10, which is known as Jesus’ “Missional Discourse.” Chapter ten begins with Jesus calling together a group of disciples, twelve in all, signifying the number of tribes that make up Israel. 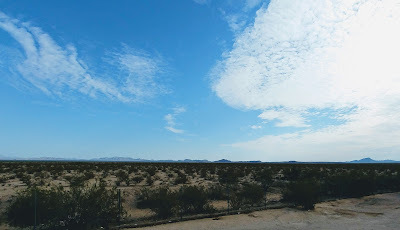 Jesus sends them out to the “lost sheep of the house of Israel.” He limits their mission to their own people, who are, Matthew suggests, “sheep without a shepherd.” The message they take with them is that the realm of God is near at hand, and that it is revealed to the world in acts of compassion. Go “cure the sick, raise the dead, cleanse the lepers, cast out demons.” Anna Case-Winters points out that the extension of God’s realm involves giving attention to the suffering of the world. She writes that “it is by attentiveness to the suffering of others that we discover our mission” [Matthew, p. 149]. So, by giving attention to these acts of compassion, we participate in the revealing of God’s realm, where suffering will, in the end, be eliminated. This is what stewardship is about. It is an act of investing in God’s missional work of caring for God’s sheep who lack a shepherd. This act of investing involves sharing the gifts we’ve received from God—time, talent, money. The gifts of God have been freely given, so we give freely in response. Stewardship is not a duty. Stewardship is the response of the transformed heart to the grace of God. It is a recognition of God’s abundance. Jesus talks a lot about sharing in the Gospels. He tells parables about the need to share with others, and the dangers of hoarding. In one parable in the Gospel of Luke, Jesus told a story about the man who built bigger barns to contain his harvest, but then before the night is out, he is dead. Such an act of hoarding is folly (Lk 12:16-21). So, stewardship of our time, our skills and abilities, and our money, is recognition of God’s abundance. That first mission, described here, is focused on Israel. It’s a very specific ministry, but in time the nature of God’s mission will expand. Even before the resurrection, when Jesus was keeping his eye focused on the lost sheep of Israel, we see signs of that expanding vision already present in the Gospel of Matthew. Remember the visit of the magi and the encounter with the Canaanite woman, whom Jesus holds up as examples of faithfulness. With the Great Commission, however, what starts locally, goes global. Jesus tells the disciples to pray that the Lord of the Harvest would send in more laborers. As we ponder that call for prayer, we are also invited to consider the possibilities of a journey to generosity. We’ll be talking more about this journey in the weeks to come. We’ll talk about investing money in this mission, but we’ll also talk about investing time and skills in this work as well. With regard to the time and talent portion of the conversation, I’d like to point out that in a few moments we’ll be installing officers, committee chairs, elders, deacons, and trustees. We’ll also be ordaining a new elder. Each one of these women and men who come to be installed, is an answer to the prayer to the Lord of the Harvest for laborers to be sent in to bring in the harvest, which is plentiful. Thanks be to God, for God’s abundance, and the laborers ready to answer the call, so that the sheep of God’s pasture might share in God’s compassion and guidance.